If you’re heading Down Under, you might need to make regular overseas payments for property costs, transferring pensions, or just sending money back home. Our currency partners FC Exchange discuss what you can do to make the most of your money when making regular payments. Currency brokers like FC Exchange are specialists in currency, so you’ll be able to speak to a dedicated market expert whenever you need to make a payment. The pound to Australian dollar exchange rate has risen from levels of 1.73 in January to 1.77 in July this year, spiking at 1.84 in April. Meanwhile, the pound to New Zealand dollar exchange rate has increased from 1.74 to 1.92 in July, peaking at 1.97 in April. Your currency specialist will be able to keep you up to date with market movements so that you know when the best times to make your transfers are. You can also make transfers online or over the phone, so if you’re 7-11 hours ahead in Australia or New Zealand, you’ll still be able to organise your payments. Different providers will offer you varying rates of exchange, and a great rate is essential so you can maximise your money. For instance, if you were in Australia and you wanted to move £9,000 every quarter, an exchange rate of 1.72 might get you $15,480. Meanwhile, if another provider offered you a slightly better exchange rate of 1.77 would get you in the region of $15,930. That’s a difference of $450 per quarter and $1,800 per year! Some currency providers will add on a cost or fee for the privilege of transferring your money overseas, so it’s best to ask up front if you’re going to incur a transfer charge. If you’re transferring regularly and pay a fee of up to £30 each time, it can soon add up and make your money transfer less cost-effective. If the pound to Australian or New Zealand dollar exchange rate is taking a positive upswing, but you’re not ready to transfer your money yet, you can speak to your broker about securing a rate in place for up to two years. This is known as a forward contract and is ideal for those wanting to buy a house overseas without having to worry about currency market fluctuations. 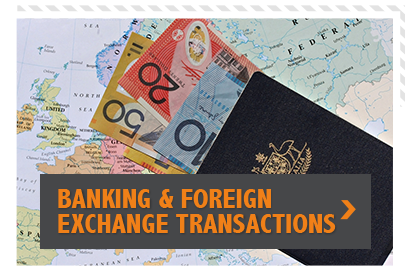 If you’d like to find out more about transferring money abroad, visit fcexchange.com or call +44 (0)20 7989 0000 to speak to a currency specialist.